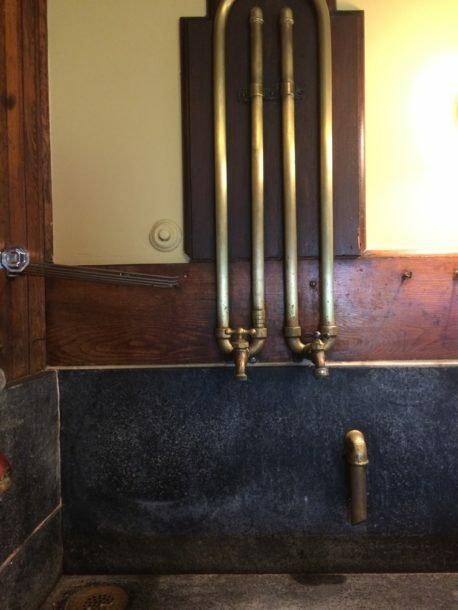 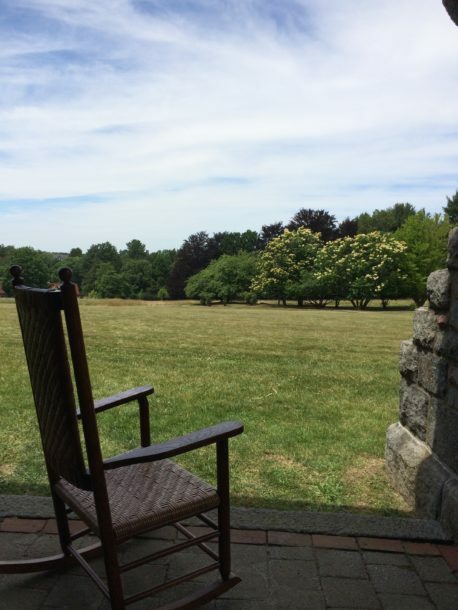 A visit to the Eustis Estate in Milton, Massachusetts has been on my to-do list for quite sometime. 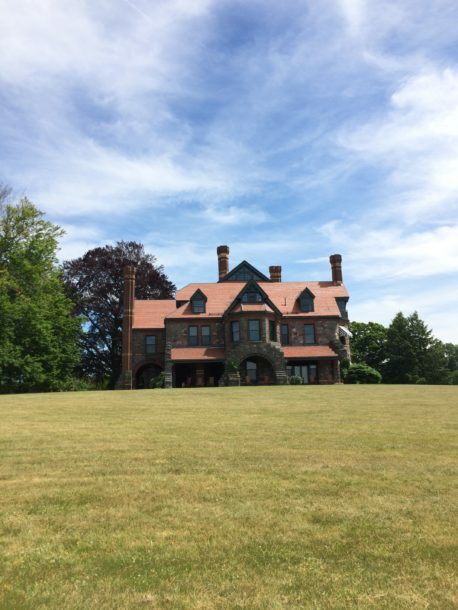 Historic New England has preserved this landmark property designed by William Ralph Emerson. 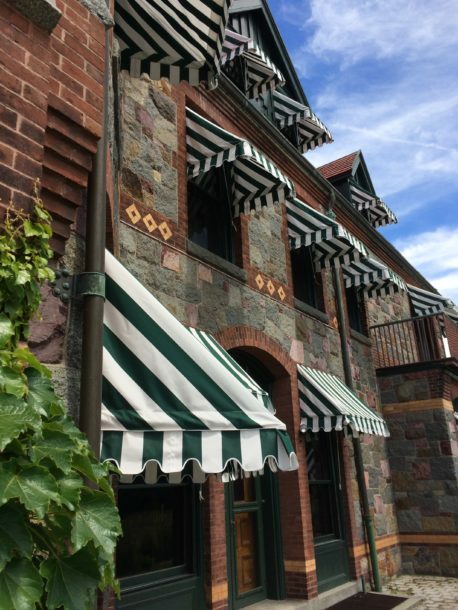 I finally made it there on a hot, summer afternoon and enjoyed the coolness of the dark wood paneling and low lighting of the beautiful stone mansion built in 1878 with pristine period interiors as well as the sweeping lawn with stunning views. 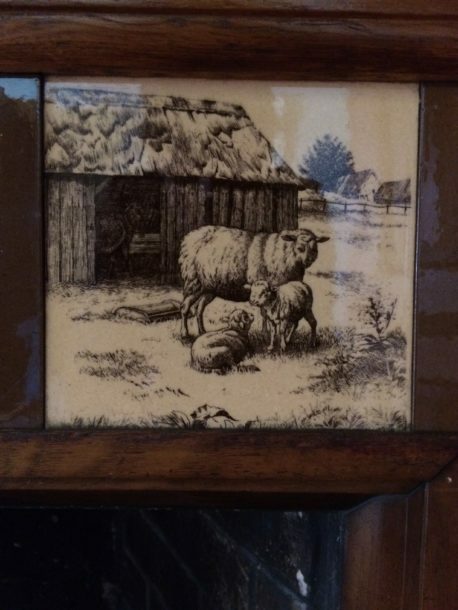 I actually didn’t take many photos….just soaked in the experience for a change. 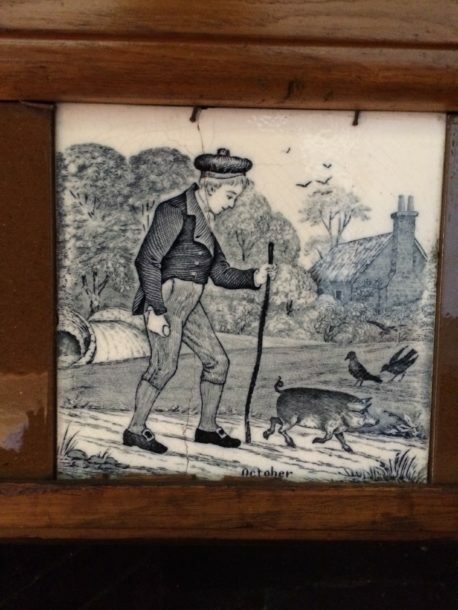 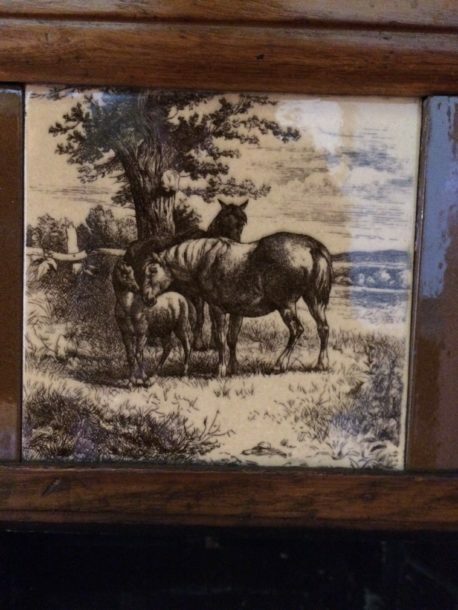 And.. the ceramic tiles depicting country life….